Francis was born on June 28, 1774, the son of David Herron and his wife whose name was possibly Mary. David was a ruling elder in the Middle Spring Church. The family lived about three miles northwest of the church on what was known as “Herron’s Branch.” Francis’s parents were of Scotch-Irish descent and were noted for their devotion to and work for their church. He was trained in a Christian household, taught the Westminster Catechism, and sat under the ministry of the Rev. Robert Cooper, D.D., at Middle Spring Church. David Herron’s devotion to the Lord and maybe his sense of humor have been illustrated by the following account of an incident that led to a rebuke of David by Pastor Cooper. Dr. Cooper had the custom of calling the roll of the members every Sabbath morning and noting the absentees whom he visited the following week. He also required the members to sing one of the Psalms in course on each Sabbath morning. So on a certain communion Sabbath, solemn days were these, David Herron’s name was called, and though he was one of the most regular, reliable and godly members of the session, there was no response. The clerk rose at his desk and called again, “David Herron!” But still there was no answer. Early the next morning, long before the hour of public ministry on Monday, Dr. Cooper was seen trotting briskly up the creek past the homes of the Brady’s, Strain’s, and Cambridge’s on to the house of David Herron, he entered the home quickly and meeting Mr. Herron, he said in a somewhat abrupt way, “Not at church yesterday! What is your excuse?” “Well, Doctor, you know your rules; yesterday morning I rose earlier than usual, after breakfast read a short chapter and offered prayer, and then, with my family, we commenced to sing a Psalm, as you require of us on every Lord’s Day, the one in course being the 119th. We could not violate your rule, we did our best, but were not able to finish it until in the afternoon.” Whereupon the Doctor arose, adjusting his wig, and placing his hand upon the shoulder of his faithful elder, said, “David your excuse is a good one, I am perfectly satisfied, and then rode home” (Presbytery of Carlisle, see sources below). Francis’s early education was acquired through what would be called today “home schooling” as he studied to enter Dickinson College to pursue a classical curriculum in preparation for divinity training. 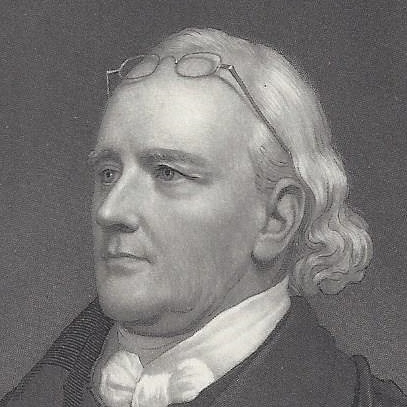 He graduated from the Carlisle institution on May 5, 1794. He at once began to study theology when he went home from college. His pastor, Dr. Robert Cooper, directed his divinity program resulting in his licensure to preach by the Presbytery of Carlisle, October 4, 1797. Soon after his licensure Francis Herron, Rev. Joseph Mahan, and the Rev. Mathew Brown, a classmate from Dickinson, started on a missionary tour in the western regions on horseback. On Friday evening of the first week they reached the tavern of Six-Mile Run, near Wilkinsburg, a suburb of Pittsburgh. During his stay there Mr. Herron was prevailed upon to spend the Sabbath and preach to as many as could be gathered, which he did while standing under the shade of an apple tree and shooing insects. His two friends passed on to Pittsburgh where Mr. Mahan preached for First Church. Mr. Herron continued on alone in his journey from Pittsburgh westward as far as Chillicothe, Ohio. A large portion of the route of his journey was dangerous during that time in history because of thieves and the possibility of Indians. His only companion and guide was one of the early frontier settlers, who had only once previously passed over the same route. For days they found no human habitation or shelter, two nights they encamped with the Indians near what is now the town of Marietta, Ohio. On his return from Ohio, Mr. Herron again visited Pittsburgh, then a village of less than two thousand inhabitants, without pavements, stage coaches, or other public improvements, and with but one church building, a rude log structure, which stood upon the lot where the more substantial First Church would later be constructed. Mr. Herron found the keeper of the tavern where he lodged to be an acquaintance he knew from the past, at whose earnest solicitation he consented to preach to a congregation of less than twenty people in the rustic but functional log church. Among the churches he visited at this time was the Buffalo Church, in Washington County, Pennsylvania, where the people were so pleased with his preaching, that they gave him a call to become their pastor. He was advised to accept the call by his friends, but when he returned home he found a similar call from the Rocky Spring Church awaiting him, which he accepted. He was ordained by the Presbytery of Carlisle and installed pastor of the Rocky Spring Church on April 9, 1800. It was a spiritually strong congregation blessed with a large and substantial building for services. In 1802, he married Elizabeth, who was the sister of his friend Matthew Brown’s wife and the daughter of a lawyer named Alexander Blain. The first decade of Rev. Herron’s ministry was a period of congregational growth and a time in which he honed his pastoral skills. In the year 1810, Francis Herron went to Pittsburgh to visit family and while there was invited to preach in the First Presbyterian Church, which had been left vacant by the death of Pastor Robert Steele. The people were greatly pleased with Francis’s ministry, so when he returned to visit Pittsburgh on a later occasion he was asked to preach again. The result of his two supply opportunities at First Church was the congregation issuing him an unanimous call to become their pastor. He accepted the new call and loaded a wagon with his property and took his family to Pittsburgh after having his pastoral relation with Rocky Spring dissolved, April 3, 1811. Rev. Herron was installed pastor of First Church in Pittsburgh on June 18, 1811, by the Presbytery of Red Stone. His salary was six-hundred dollars per year. When Francis Herron came to understand the spiritual condition of the people of his new charge, he found himself in a difficult situation due to his congregants’ lack of growth in grace. The experience of his recent years at Rocky Spring became invaluable to him. He approached his work with a two point plan. First, he was to preach the gospel of Christ with pointed application to the hearts and consciences of his hearers, and second, he would carefully expose their lack of spiritual growth with compassion and concern. He persevered according to his plan. Another tool he used to bolster his shepherding and strengthen the congregation was instituting a prayer meeting, which was something he had found helpful at Rocky Spring. But this met with disapproval from even the best of his people; he was accused of introducing an innovation out of accord with proper worship. Husbands and fathers prohibited their wives and children from attending and Dr. Herron was told that the prayer meetings had to stop. But Pastor Herron replied that the meetings would continue and that those who did not want to attend did not have to do so, but he contended that he had the right to follow his conscience regardless of opposition. His taking a resolute stand became the turning point in the conflict. In 1825 the General Assembly resolved to establish a theological seminary in the West, appointed five commissioners to select a suitable location, and then elected twenty-one ministers, including Francis Herron, and nine elders as directors for the next year. During the next twelve months, he promoted locating the seminary in the Pittsburgh area. So, when the 1826 assembly convened in First Presbyterian Church in Philadelphia, things were looking good for Herron’s plan to locate the divinity school in Allegheny Town, which was across the Allegheny River from Pittsburgh. However, testimony to the problems that developed at the assembly was expressed in the minutes with those few unfortunately familiar words to presbyters, “discussed at considerable length.” While the Presbyterians of the three-rivers region had been promoting their site, other locations were touted by presbyters from Cincinnati when they proposed Walnut Hills, and the Hoosiers had their own plans as they lobbied for Charleston, (or Charlestown) Indiana. The 1826 meeting resolved to decide the location the next year from the three proposed sites. When the 1827 assembly convened, Francis Herron was elected moderator and presided as the commissioners selected Allegheny City. However, even though Ohio and Indiana lost the site, the poorly executed effort of Ebenezer Lane named Lane Seminary became a Presbyterian school in 1829 and gave the more western churches a seminary. Once the Allegheny City location had been settled, Dr. Herron became the chief advocate for the financial support of Western Seminary. He served the school as vice president of the board of directors, 1825–1827, then as president of the board, 1827–1860, and as a trustee, 1847–1860. In 1850 after having pastored the Pittsburgh church for forty years, Dr. Herron asked to be relieved of his pastoral charge. The many years of service not only to his congregation but also to the presbytery, synod, and general assembly had weakened him greatly. His request was granted, his successor was chosen with his approval, and then he was relieved of the duties of a pastoral call to enjoy what would be called today retirement. One of his special privileges occurred in 1853 when he delivered the last sermon ever to be preached in the church building where he had preached for his entire ministry at First Church. The congregation had built a new building and the old one was no longer needed. Even though the sermon manuscript was lost in a fire, a snippet has remained. And now I wish to say, in conclusion, my career in the gospel ministry is drawing very near to a close. And having, in my feeble manner, preached “the glorious gospel of the blessed God,” for more than half a century, to my fellow sinners, both here and elsewhere, I wish it to be recorded and remembered, that I am not ashamed of the gospel of Christ. And would to God that it was written as “with a pen of iron and with a point of diamond,” on every heart, both of saint and sinner, that this gospel is the only remedy for the ruined creature, man. And, my fellow sinners, if you are ever saved from the ruins of apostasy, you must be saved by this gospel, according to God’s plan of salvation through Christ, to whom be glory for ever. Amen. Francis Herron died on December 6, 1860. In June 1855, his wife, Elizabeth, had died after over fifty years of marriage. The Herrons had several children. He was honored with the Doctor of Divinity by Jefferson College in 1824. Sources—William M. Paxton, published two memorials he had delivered in memory of his friend titled, Two Discourses upon the Life and Character of the Rev. 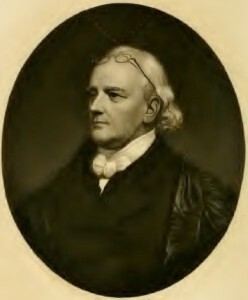 Francis Herron, D.D., Pittsburgh: Robert S. Davis, 1861, which also includes memorials from the church session and the board of Western Theological Seminary. Another biography is found on pages 100–110 of The Centennial Memorial of the Presbytery of Carlisle, in Two Volumes, Vol. II—Biographical, Harrisburg: Meyers Printing and Publishing House, 1889, however the biography is basically a summary of Paxton’s work. Notes—This biography was edited for clarification on August 5, 2015. There is a difference in the names of Francis’s parents in the sources. The father is either John or David and the mother is Mary or unnamed.